12 - 15 Fl. Oz. Cans Frosty Chocolate Serving Size 1 Can Servings Per Container 12 Amount Per Serving Calories 250 ..
ORS NEW SACHETS 10' To treat dehydration. ..
PHL muscle builder capsules contains specifically designed muscle building complex which increases strength and endurance. 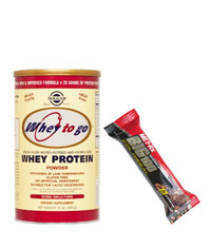 Muscle building complex is enriched with beet root extract, l-glutamine, cit.. Brain Support L-Tyrosine is an amino acid that supports brain nutrition, as it is a precursor of the neurotransmitters dopamine, norepinephrine and epinephrine. This formulation provides Free Form..